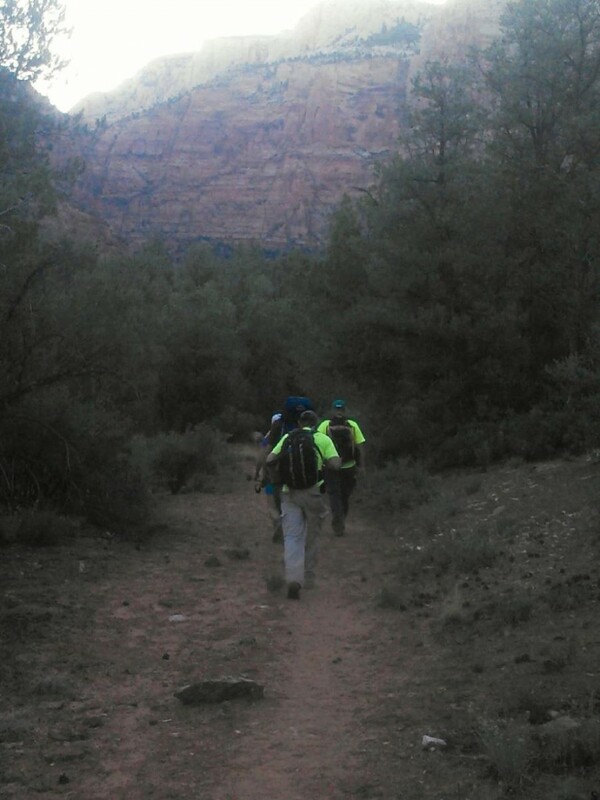 ZION NATIONAL PARK – Just before 3 a.m. Thursday morning, Washington County Sheriff’s Search and Rescue received a call that two hikers were stranded on Chinle Trail in Zion National Park, near Coalpits Wash.
Responders were given GPS coordinates to the hikers’ location. A four-man SAR team was sent in and hiked around 4 miles up Dalton Wash to reach the two people, Washington County Sheriff’s Search and Rescue Commander Casey Lofthouse said. The two people, who are not from Southern Utah but are vacationing here, had a camp set up in the area. Lofthouse said he believes the people departed from the Chinle Trailhead in Rockville around 6 p.m. last night and, during the course of their hike, ran out of water. “They were counting on being able to use their water filter,” Lofthouse said. Because of dry conditions, however, the two hikers were not able to find water to purify and became dehydrated. When responders reached the hikers, they were able to get them rehydrated and help them back to their vehicles. “They were in good condition,” Lofthouse said. Responders didn’t finish up until about 8:30 a.m.
Lofthouse said those recreating in hot and dry conditions need to exercise caution and prepare according to conditions. “People just need to make sure they’re packing enough water,” he said.